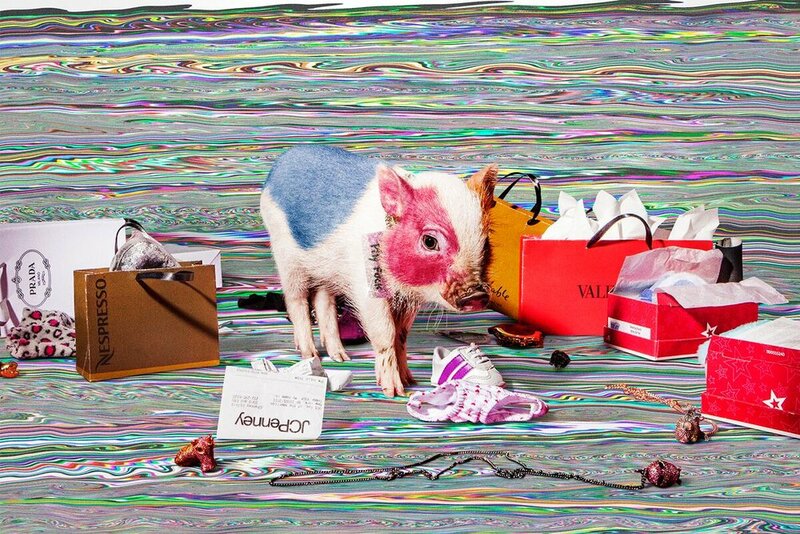 In New York, 15 live mini-pigs recently clocked out from their job as models for Bjarne Melgaard and Bjørg Nordli-Mathisen’s recent collaboration — a jewelry series serving as a part of Melgaards ongoing project, The Casual Pleasure Of Disappointment. In a different part of town, another aspect of the project is currently dripping its agressive expression in the form of something completely different. At Red Bull Studios in New York, which also houses the prestigious Red Bull Music Academy, Melgaard’s current exhibition inhabits its space as a multileveled, psychopathological departement store. As intriguing as that might sound, its press release is signed off with an age restriction of 18 yers old. And to confuse whatever immediate association that might create; the exhibition is primarely a clothing line. If one happens to be even slightly familiar with Melgaards work, the age restriction probably doesn't come as a shock. Words like provocateur, controversial and shocking has a tendency pop-up in contexts of the artist. This one, as one might imagine, is no different. 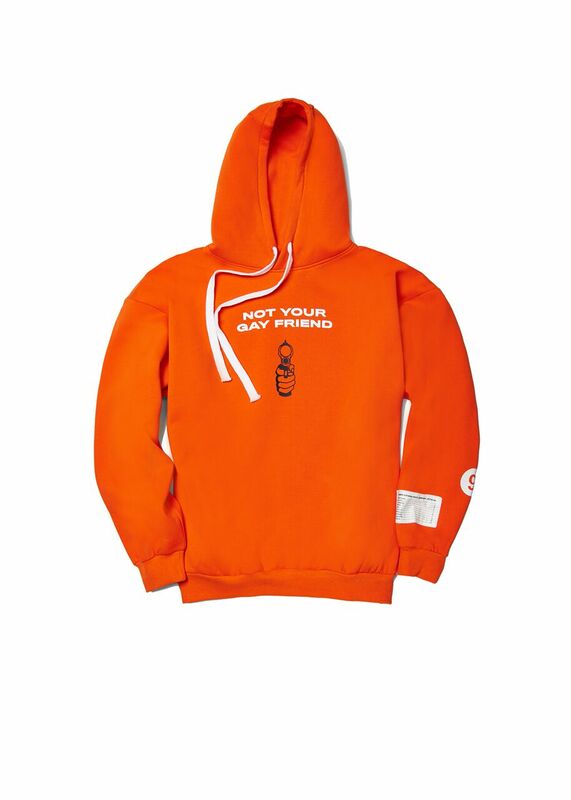 As described in the press release, the clothing line ‘violently embraces the obsessive and self-destructive aspects of fashion and consumerism’, which feels like an accurate description when looking at the brightly colored pieces imprinted with phrases like «I hate Rehanna», «NOT YOUR GAY FRIEND» and «RELAPSE». Furthermore, the consumerism aspect got thoroughly embraced as Melgaard, two days prior to the opening, let the public loose in the partially finished gallery space, giving away $500.000 worth of designer clothes from Meelgaard’s own closet, as well as some unisex streewear from his own design. "Fashion in general plays so much on people’s fear of being inadequate", Melgaard recently explained to the New York Times. "There’s always this question of disappointment when you get something new in the store. You buy a new identity that doesn’t really fit." Further he explains to the NY Times that his use of streetwear as a medium is partly a critique from his own observation: "Streetwear has been so corrupted in many ways, too, by these professional teenagers who embrace every aspect of youth culture." The Casual Pleasure Of Disappointment opened on February 16. and runs until April 9.